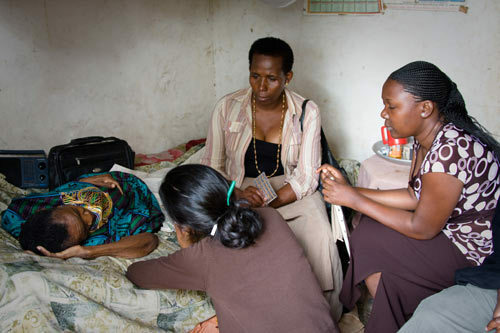 Give a practical demonstration of affordable palliative care. Provide training in affordable palliative care and generally provide support groups initiating palliative care in francophone countries. Plead with governments in francophone countries to include palliative care in their overall health plans. Palliative care is acute care delivered in a comprehensive approach to the person with a serious illness or terminal disease. The goal of palliative care is to relieve physical pain and other symptoms, but also to take into account the psychological suffering, social and spiritual needs. Palliative care and support are interdisciplinary. They address the patient as an individual, the family and loved ones at home or in institutions. Training and support for carers and volunteers are part of this process.